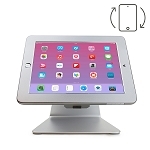 Compatible with: 5"-11" Tablets, E-books and electronic devices like iPads (Air included) Samsung Galaxy, Nexus 7, Amazon Kindle Fire, etc. 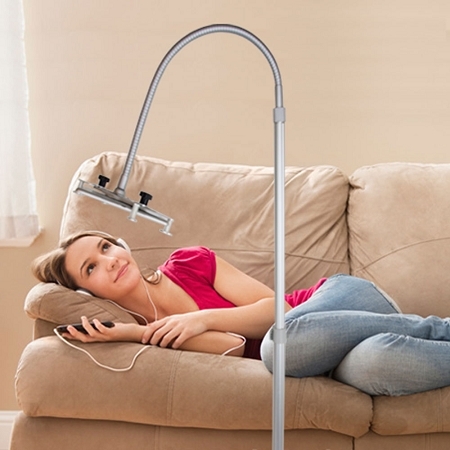 Universal Tablet Floor Stand with Adjustable Gooseneck for all devices between 5" and 11"
Are you tired of holding your Tablet or electronic device while relaxing on the couch or bed? No more neck pain, tired arms or hand cramps! 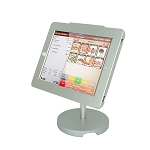 With our Universal Tablet Floor Stand with Adjustable Gooseneck you can sit back and enjoy! 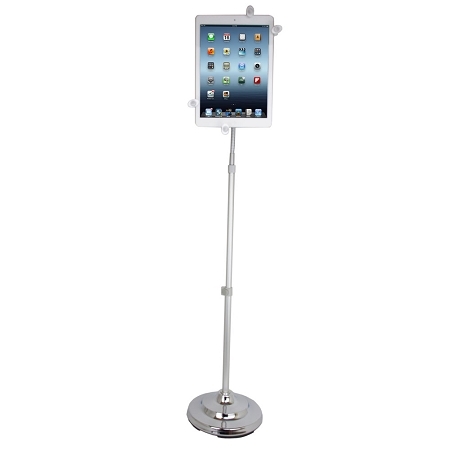 The Universal Tablet Floor Stand is fashionable and stylish. 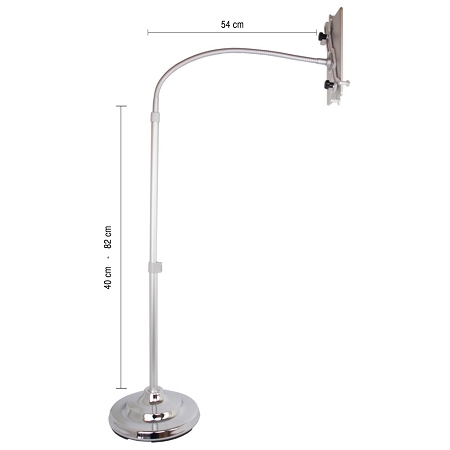 It will look amazing with any type of home dècor. 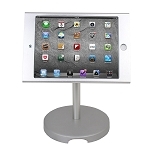 It has a pole with adjustable height between 40 and 82 cm; and a solid round base that keeps the stand from tipping over. Installation takes 1 minute with no drilling!! 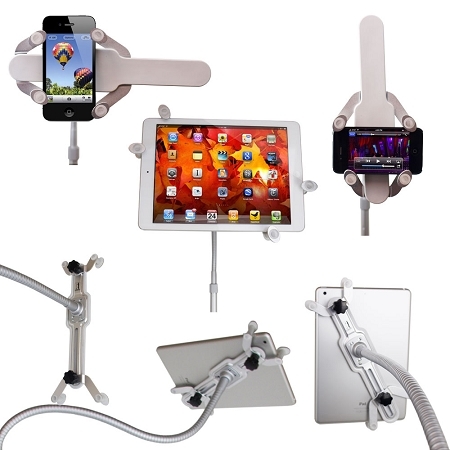 The adjustable swiveling gooseneck offers a 360 degree rotation and the aluminum holder is easy to adjust fitting almost every Tablet or electronic device.